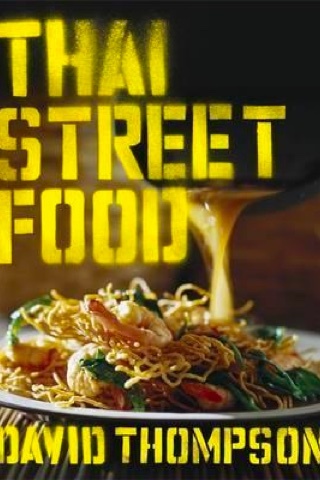 Part recipe book, part coffee-table art, Thai Street Food is a wonderful celebration of, well, Thailand’s street food. And it’s even more than a pretty recipe book: Chef and Thai food expert David Thompson also includes plenty of interesting history and reportage about the street food of the kingdom. This isn’t rambling, start-of-my-blog-recipe stuff, either. These are well-researched snippets that will teach even old hands something new. The book makes for an exceptional souvenir if you’ve visited Thailand and fallen in love with its incredible and diverse cuisine, or a gift for those who simply love the food. Thai Street Food focuses on the dishes you'll find in markets, at street food stalls and from roaming vendors in Thailand, not on the Thai cuisine you’ll find eaten in homes (though we reckon there is a bit of crossover). It’s a huge area to reflect in a single book, but the selection is solid, with plenty of familiar dishes but also stuff even old hands might not have tried. As Thompson notes in the introduction, in Thailand “streets often seem more like busy restaurant corridors than major thoroughfares for traffic”. Sometimes more wary travellers balk at the idea of eating foods prepared in markets or on the street anywhere in Southeast Asia. But, as Thompson points out, the fact of the matter is many vendors face their customers day after day, year after year “so they can ill afford to obtain a poor reputation. And that’s why the good people of the market can expect a satisfying meal.” So eat widely when you are in Thailand, and if you love what you find, this book will help you navigate reproducing the dishes at home. The book is sensibly divided into morning, noon and night, with a few breakout sections on curries, snacks and sweets, noodles, and Bangkok’s Chinatown. What we particularly love is how far Thompson has roamed collecting recipes. It’s not quite encyclopaedic, but it’s certainly a step in that direction. Consider: jungle curry of minced quail from Phetchaburi (which traditionally uses a kind of chilli grown by the Karen ethnic minority who live in the city’s surrounds, but you can substitute bird’s eye, Thompson says); sour pork sausages from Udon Thani (“some of the best in the world”); crab noodles from Chanthaburi (keep the tomalley, or liver and pancreas, as they impart a rich flavour, Thompson advises); chicken and banana chilli curry with assam from Satun (assam is dried Asian woodruff, but you can swap in tamarind pulp at a pinch). We confess: We’ve had this book for a few years, but we’ve never actually made any of the recipes. Part of it is we just don’t think we’ll make the dishes to be as delicious as what we’ve had in Thailand; part of it is we think the street food of Thailand is best enjoyed on the streets of Thailand; and part of it is we’re lazy––lot of these dishes do require some commitment. However, we do love flicking through this book. Nothing gets us salivating and wishing we were back in Thailand faster.